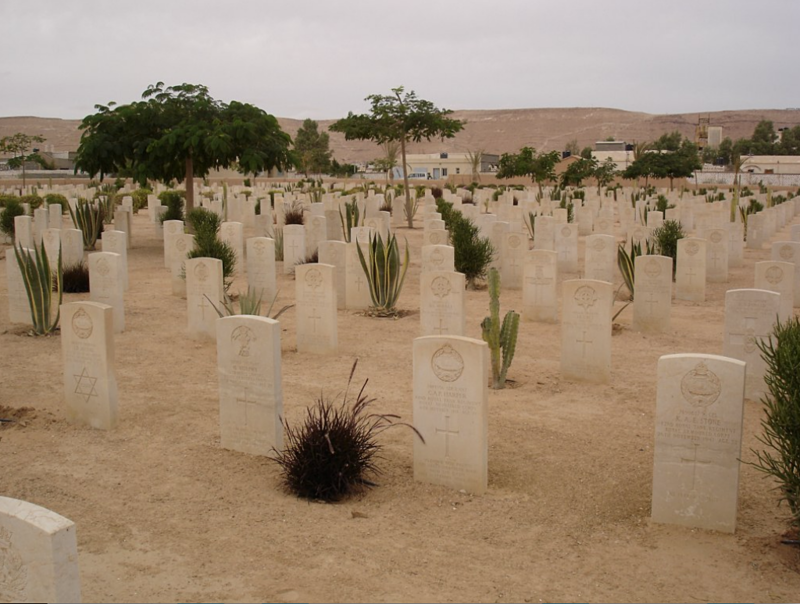 Although the cemetery is situated in a sensitive area, visitors should not experience any problems in gaining access. 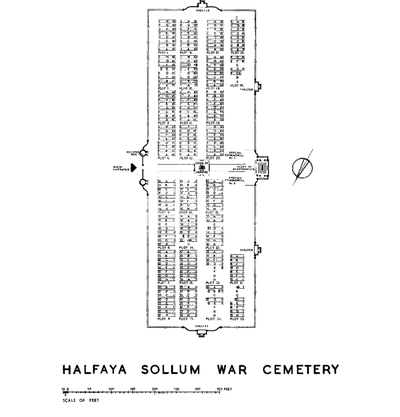 However, it will be necessary to pass through a checkpoint at Sollum. This is because people crossing the border to Libya will use this route. 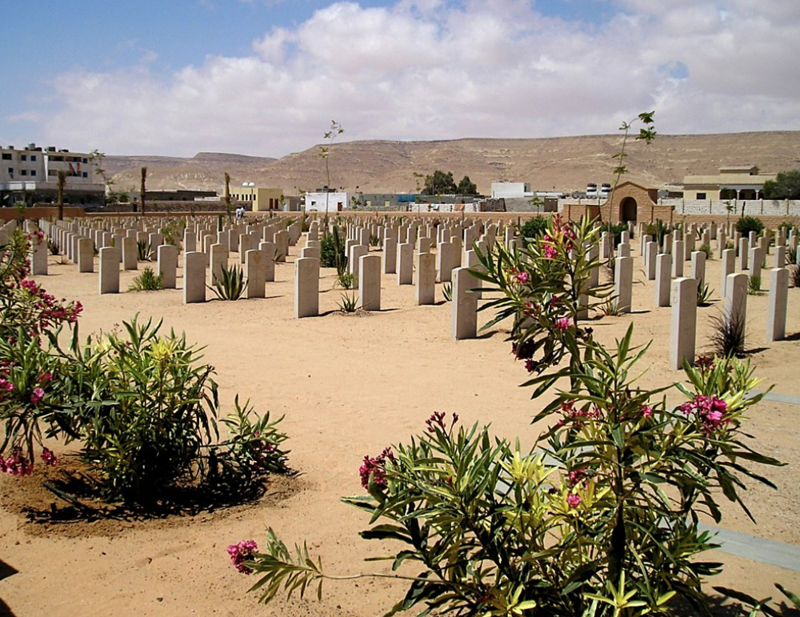 Visitors should therefore explain to the checkpoint guards that they are visiting the cemetery and not crossing the border. 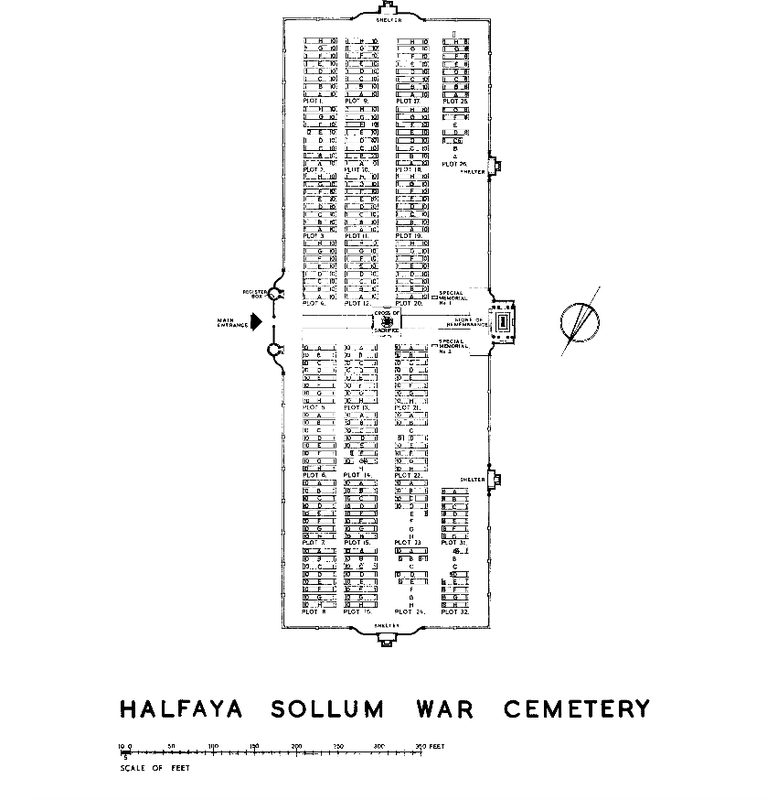 Halfaya Sollum War Cemetery, approximately 12 kilometres from the Libyan border, is adjacent to Halfaya Pass, the scene of heavy fighting in 1941 and 1942. All of the graves in the cemetery were brought in from the surrounding area, including military cemeteries at Sidi-Barrani, Buq Buq, Fort Capuzzo, Bardia, Minquar el Zannan, and Camerons Burial Ground at Nibeiwa. The cemetery now contains 2,046 Commonwealth burials of the Second World War, of which 238 are unidentified. 48647 Colonel Graham Thomson Lyall, V. C.
Royal Army Ordnance Corps, died 28th November 1941, aged 49. Plot 19. B. 2. Son of the Revd. Robert Henry Lyall and Agnes Lisette Lyall; husband of Elizabeth Lyall (nee Frew), of Airdrie, Lanarkshire. Citation: The following details are taken from the Second Supplement to the London Gazette of December, 13th, 1918:-On September 27th, 1918, when the leading company was halted near Boulon Wood by an enemy strong point Lt. G. T. Lyall executed a flank movement with his platoon and captured it together with prisoners and its guns. Later that day his much weakened platoon was held up by machine guns at the southern end of the wood. Lt. Lyall led forward his few remaining men, then rushed the position single-handed, killing the officer in charge, and took it with its machine guns, capturing numerous prisoners. Advancing, he secured his final objective and still more prisoners. On October 1st, near Blecourt, by skilful disposition of the weak company he then commanded, he overcame another strongly held position, seizing numerous guns and many prisoners. In these two days Lt. Lyall captured 3 officers, 182 other ranks, 26 machine guns and 1 field gun, and inflicted heavy losses on the enemy. He showed throughout most conspicuous bravery, high powers of command, and skilful leadership.